An AFF Portal profile is created for all members, even non-competitive members such as coaches and volunteers, when membership details are given to the AFF by state associations. Here’s why you should visit the portal from time-to-time and make sure your profile is current. Wondering why you’ve been blocked from entering an AFF tournament? Maybe you have an outstanding invoice you don’t know about. Whoops. When the AFF needs to contact members, including to send invoices and credit notes, it relies on the information stored in the Portal. While sometimes fencers might be asked to provide email addresses and phone numbers when registering for events, contact details submitted this way can’t be verified easily and aren’t treated by the AFF as a reliable source for important correspondence. 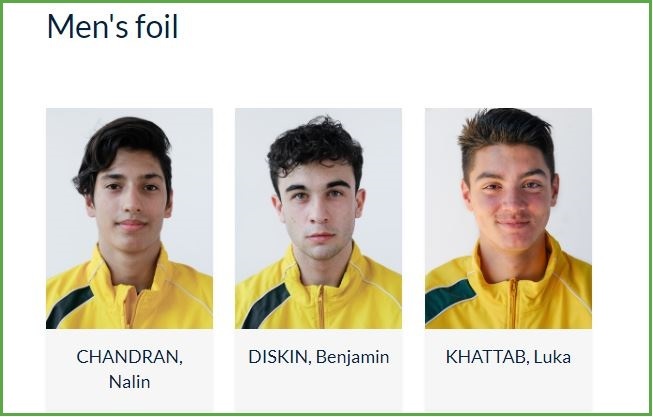 Competitive fencers have an official fencing biography which is automatically updated with results from Australian national and FIE international competitions, stored in the member’s portal record. Biographies are published on the AFF website and are a great resource to support scholarship, grant and employment applications. Maybe there are other international results from non-FIE tournaments you’d like to see included in your fencing bio. Athletes can apply to have results added, but only if these can be independently verified. To notify the AFF of results not reflected in an athlete bio, enter the details in the portal. 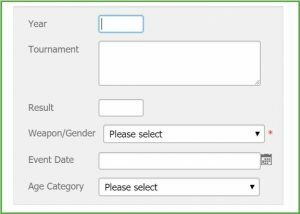 Email [email protected] providing the fencer’s name, tournament name and location, and a link to the overseas tournament’s official published results. Members have the option of adding a photo to their bio. Having a standardised head shot on your fencer bio makes you look like a serious athlete and AFF team announcements look amazing if these images are done well. You can use that blurry snap taken in the backyard five years ago, or you can spend a few bob on a digital passport photo at your local photography store and upload it through the AFF Portal (don’t forget to smile). From time-to-time the AFF provides free head-shot portrait sessions at national tournaments and can upload an image for you, saving you money and hassle. Athletes can add the name of their ‘Personal coach’ to their profile. This links athletes to coaches in the Portal, giving the coach easy access to a fencer’s competition results, HPP membership status and fitness testing results from HPP camps. The AFF Portal was developed in 2011 to simplify national coaching accreditation. Since then it’s developed into a sophisticated database managing document collection and verification for coaches, referees and fencers competing overseas. Fencers can also view details of FIE licences and print a letter confirming their national affiliation – all without with the agony of an email to the AFF. Member profiles are password protected, but if you’ve forgotten yours it can be reset using the ‘Forgotten Password’ option on the login page.